Sitting in the same office every day for years or decades at a time is a thing of the past. With job hopping becoming more common and remote work opportunities growing exponentially, you don't have to feel chained to that cubicle for the rest of your life. Thanks to digital and mobile technology, you can work from nearly anywhere in the world. This is an amazing opportunity no matter what you do, but for a bootstrapped business owner or lean startup it offers even more upside. You can travel or live in a country with a much lower cost of living and still make the same income, resulting in a big net gain. Here are 4 examples of working remotely while traveling to beautiful and exotic destinations on a shoestring budget. Costa Rica is a beautiful country with amazing beaches, waterways, wildlife, volcanoes, culture, and cuisine. It also happens to have a much lower cost of living than first world countries. 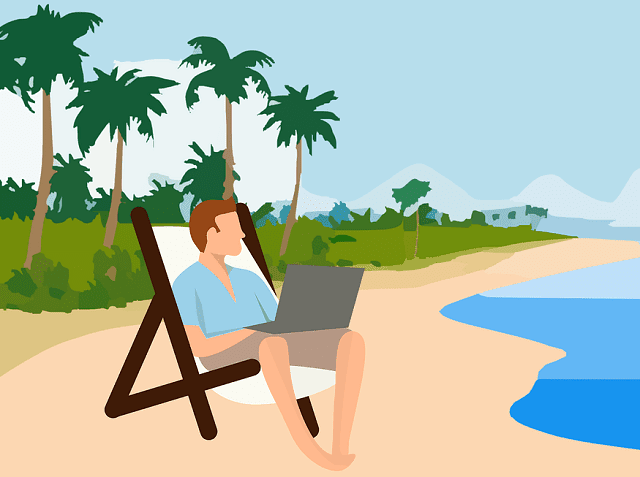 So you can be living the high life (or just saving a lot of cash) by working remotely from the coast of Costa Rica and creating content or copywriting for companies or websites. You could be blogging for businesses or become a full-time YouTuber with the beaches and jungles of Costa Rica as your backdrop. Take a look at great deals from G Adventures costa rica travel packages. Indonesia is an underrated paradise of beaches, jungles, mountains, and lakes. Because it is underrated the cost of traveling or living in Indonesia is very low compared to most areas. You can do consulting, inspections, or auditing virtually with onsight collaboration software technology. This type of work is usually pretty lucrative and you can do it on your own schedule beach-side or lakeside in a peaceful paradise. Get started on your travels to Indonesia with G Adventures at https://www.gadventures.com/destinations/asia/indonesia/. A growing trend over the last decade has been professionals from the US, Canada, Australia or Europe to live in Mexico and work remotely. Why Mexico? Because it's beautiful, full of culture, and most importantly has a much lower cost of living compared to many countries. It also usually has good cell service, WiFi, and cable internet needed to work remotely as a marketer. Digital marketing is a growing profession and in many instances it can be done from nearly anywhere. So why not manage that marketing from poolside in marvelous Mexico? After trying out traveling to some of the great travel destinations listed above (or elsewhere), you might end up falling in love with your new working environment. Your trip doesn't have to end and you can move out there permanently! If you need help packing your bags and moving out click here. With today's technology and job market you no longer have to settle for working that same office job and going on that one vacation each year. You can make a great living working remotely and travel the world or make a new permanent home a world away while saving massive amounts of money. Happy travels and best of luck in business! I hope you enjoyed this article about how to work remotely while traveling the world on a bootstrapping budget. Interested in more articles about international business and travel?